Uttar Pradesh is one of the most important states in India which bears a lots of history an heritage. Uttar Pradesh is home to some of the most interesting travel attractions in India, which are being visited by people from across the world. One of the most visited tourist spots in Uttar Pradesh is Agra. People from far and wide come here just to have a view of the Taj mahal, one of the Seven Wonders of the World and a World Heritage Site. Is there anything more to Agra other than the Taj Mahal? Yes, there is! You have the splendid monuments and buildings, market places, eateries and food outlets, nature spots and more. The heritage lovers, nature buffs, culture enthusiasts, food connoisseurs, shopaholics and everyone can have an exciting time once they come to Agra. You can list at least five interesting things you can do while you are here. 1. If you are an adventurer, explorer, or a traveler you can take a bike tour of the city. You are provided with all the equipment you need for the same. It is safe and exciting to ride a bike and visit all the places of interest in and around Agra this way. You can taste the lip smacking food or visit the market place and shop to your fill. Make a visit to the Sur Saroval Lakeand have a view of the migratory as well as the local birds that have made it their habitat here. You can go to the heritage sites or visit the country side and get to know about the rural life of India interacting with the locals there. It will be an adventure you will never forget. 2. Apart from the Taj, Agra is home to several monuments like the Agra Fort, a World Heritage Site, built with the daunting Mughal architecture and adorned with a number of splendidly decorated structures. The heritage and culture buffs will relish its view. Another world heritage site is the FatehpurSikri. Situated on the banks of a lake this place houses a number of fascinating palaces and other structures built during the Mughal era. A fusion of different architectures of India can be seen in these erections. 3. The culture enthusiast can visit in Agra, the Korai village and have a glimpse of the rural life of the country. You can mingle with the local villagers and know about their way of life first hand. In the evening, you can visit the Kalakritidance drama show that is played at 6.30 p.m. every day at the convention center just near the Taj. It is a multi-lingual show telling the story of the Taj Mahal which can be enjoyed by one and all visiting here. 4. With the visit to some of the famous spots here and you being satiated with some delicious fare it is time to pack your bags for home. Do not forget to shop for some souvenirs for your near and dear ones. For this a visit to the market place is a must. The shopaholics will find it a good pastime at this shopper’s paradise. You can shop for the leather items, handicrafts made from marble, artifacts made from semi-precious stones, handmade carpets, gold jewelry and much more. Bring out the art of haggling to the fore and see how you save this way and buy some good stuff to carry back home from this ancient market place believed to have existed since 4 centuries. 5. There are so many things to do in Agra, one can indulge in rides and walks to the different places that will leave you really famished and tired, with that you can also go to the street stalls or the restaurants of Agra. Of course, you can start the day with a breakfast of the local food like the mouthwatering hot Jalebi and Kachori. Hygiene is not given a let by so it is safe to savor these food items. For lunch, you can have a taste of the Mughlai cuisine at any of the famous restaurants near the Taj Mahal. Do not forget to pack some Agra Petha to be carried back home. Of course, a place like cannot be explored in one day. Give yourself a couple of days or spare a long week end to enjoy the trip to this historic city enjoyable. Why not book a good hotel near the Taj Mahal for a comfortable stay while you are here? 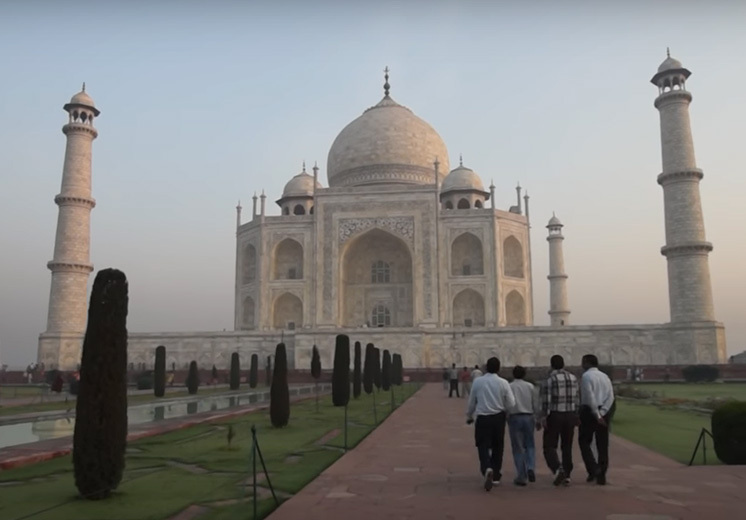 Planning to Visit Agra? The Book Your Tour Now! This entry was posted in Agra and tagged agra fort india, agra india, travel attractions in agra, travel destinations in india, travel destinations in uttar pradesh india. Bookmark the permalink. Thanks Priya. Glad to know that you enjoyed the article.. Thanks to you for sharing such great content.